Following on from the success of their debut album ‘Symbiosis’ Ross Ainslie and Ali Hutton release their second album, Symbiosis II. Winners of the best duo category at the BBC Radio 2 Folk Awards in 2017 and nominees for the same award in 2018, Ross and Ali have been busy in the studio creating an album full of new and original material. 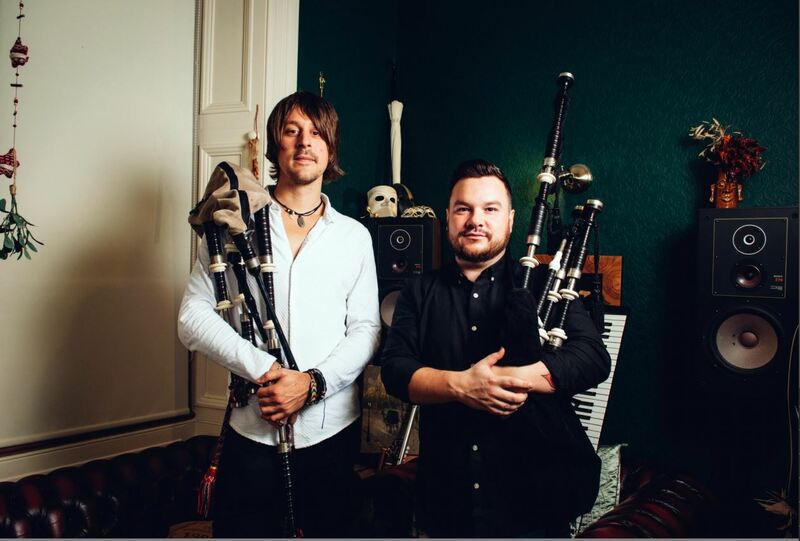 Revolving around skilfully played guitar, cittern, whistles and bagpipes, which are the bedrock of the award-winning duo, they are joined by guitarist Jenn Butterworth and percussionist Paul Jennings. Your ticket includes a glass of Prosecco.